Louisiana Gov. Bobby Jindal, a newly declared Republican candidate for president, is hoping to attract support from conservative evangelical Christian voters. Jindal himself is a Catholic, and, as the son of immigrants from Hindu-majority India, was raised in the Hindu faith. 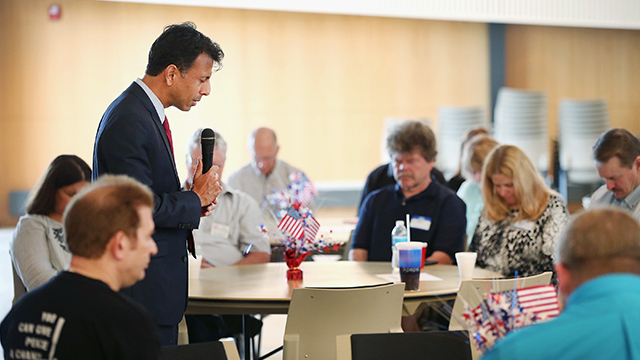 Jindal’s personal religious journey is a relatively rare one in the United States. In fact, four-in-five Americans raised as Hindus continue to identify as Hindus as adults (80%); no other major religious group has a higher retention rate, according to a recent Pew Research Center survey. And none of the more than 35,000 Americans in the survey converted from Hinduism to Catholicism as Jindal did. A 2012 Pew Research survey of Asian Americans found that, among Indian Americans, 18% are Christian, including 5% who are Catholics. Half (51%) of Indian Americans are Hindus. Overall, Hindus remain less than 1% of the U.S. adult population, although their ranks have grown somewhat in recent years. Jindal and fellow GOP candidate Jeb Bush are Catholic converts in America at a time when there are more than six times as many Catholic adults who have left the faith as there are people who have converted to Catholicism. 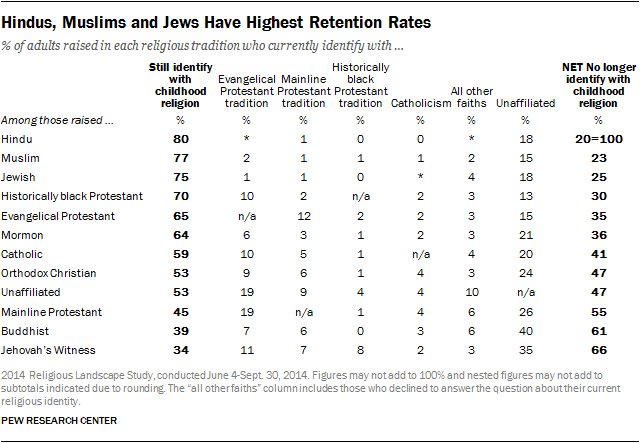 Nearly 13% of Americans have left Catholicism after being raised Catholic, while just 2% have become Catholics after being raised in another faith (or no faith).